'Pakistan has a big role to play in fomenting trouble, but we need to ask ourselves why ordinary Kashmiris are coming out in large numbers to attend the funerals of terrorists,' says Nidhi Razdan in her debut book, Left, Right And Centre: The Idea Of India. Normally, it would be the dead of winter in December. The day would begin with a bath with water heated on the kitchen stove. There were no electric geysers. There was pretty much no electricity either. Layers and layers of clothing were piled on to keep us warm. And then there was the drive through some of the most picturesque parts of Kashmir, with my brother and I fighting for the front seat of the jeep. 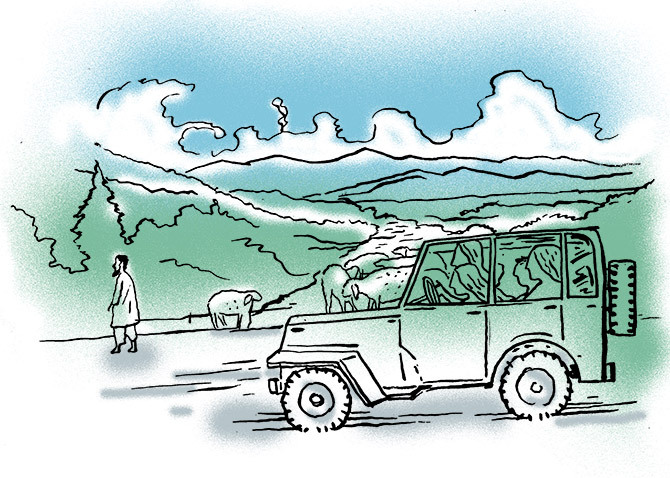 This is one of my earliest childhood memories -- going back to Kashmir in the 1980s. Almost every year, in December, my parents, my younger brother and I would travel to Tul Mul or the revered Kheer Bhawani temple in Ganderbal, just outside Srinagar. This is one of the most sacred temples for Kashmiri Pandits. Here, the goddess Ragnya Devi or Maharagya Devi is on top of a pillar in the middle of a small pond. The spring water in the pond is known to change colour from time to time, and legend has it that the colour turns dark when something bad is about to happen. The story goes that many Pandits saw the water turn black just before militancy broke out, leading to the exodus of Pandits in 1989-90. An ominous foreboding of what lay ahead. At the shrine, we would follow my mother during her parikrama, and then do a traditional aarti. Before leaving, we would eat delicious lucchis made by local Muslim cooks. This was a ritual and probably the main reason why I loved going to Tul Mul and still do. On the way back, there was another ritual. We would stop at the famous Hazratbal Shrine in Srinagar. My father made it a point to do this on each and every visit. We would go inside and say our prayers. My parents always told us that this was what true Kashmiriyat was about. About Hindus and Muslims respecting each other's religions. These visits took place at a time when we lived abroad and would come visiting India every year. Worried that their almost teenaged children would turn into American brats, my parents believed it was important to teach us that this is what Kashmir stood for, and, on a bigger scale, that this is what India stood for. This was my idea of India as I was growing up. Then, one day in 1989, as militancy was just beginning in the Kashmir Valley, my father made his way to Hazratbal. But, this time, it was different. There was a sign in the lane leading to the shrine which said that non-Muslims would not be allowed in. My anguished father stared at that sign for several minutes, completely taken aback. 'Yes,' my father replied. 'What has happened to Kashmir?' he asked. The man turned around and said, 'Come with me, let me see who will stop you.' And they went inside. The sign was a reflection of what was happening in Kashmir at the time, with the hounding of the Kashmiri Pandit community. It was on this day, for the very first time, I realised that my idea of a perfect India was flawed. It was confusing, complex and not peppered with the idealism that I had grown up with. My close family fled Kashmir in January 1990, when the mass exodus of the Pandit community took place. My grandparents, my uncle and cousins literally packed their bags overnight and ran away, fearing for their lives. Many years later, in the year 2000, I returned to Kashmir as a young reporter with NDTV. My parents were terrified. They had not gone back in over 10 years. My mother told me never to wear a bindi, never to say my last name as that would give away my identity and never to speak in Kashmiri, a language I had grown up loving. The worst of the militancy was over but the curfews and restrictions were still daily phenomena. When I reached Srinagar, many people already recognised me from television. They knew I was a Kashmiri Pandit. At first I was wary, my mother's fears ringing in my head. But very soon that fear dissipated. I was welcomed warmly, like a long-lost daughter who had finally come home. And, with that, my faith in the idea of Kashmiriyat and the idea of India was restored, just a little. Over the next many, many years, as I travelled regularly to report on Kashmir, I never felt scared. Local residents only gave me their love and blessings. Some went out of their way to help me. When India celebrated its sixtieth Independence Day in 2007, I went to film a documentary on what young people in Kashmir wanted, what their aspirations were. This was a generation that had grown up in more than 20 years of militancy. But all of them had aspirations like any other 18- or 20-year-old in India. 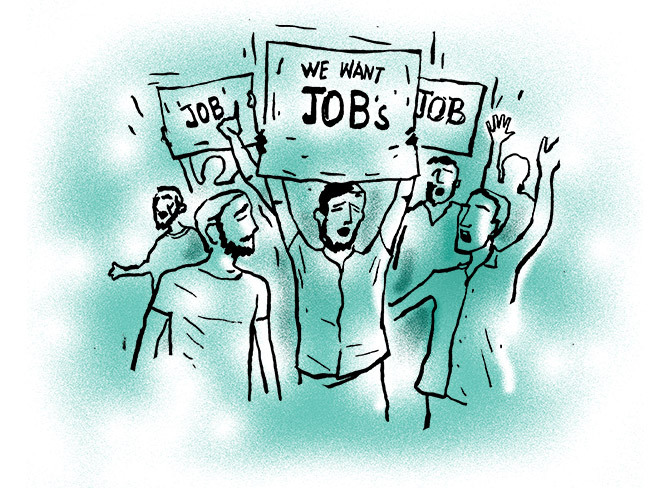 They wanted to do MBAs at good universities, live in Delhi or Mumbai. President Kalam was an idol; John Abraham, the film hero, was admired. But this was also a generation that grew up with guns and bombs, encounters and curfews. They also grew up without Kashmiri Pandits. 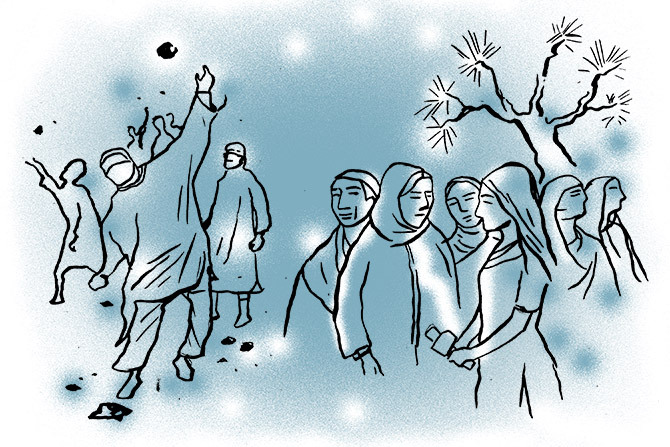 It was heartbreaking to go to the old neighbourhoods where Pandits once lived, to meet people whose teenaged children had no idea who or what a Kashmiri Pandit was. A university student stunned me during an interview when she said that she did not even consider Pandits as 'real Kashmiris'. It made me angry and I argued with her, calling her out for her ignorance. On the other side, young Pandits have grown up in exile, bitter and angry about the way they, their parents and grandparents were driven out of the Valley, and the way their relatives and loved ones were killed and targeted. Their anger is deep and real. The wounds have not healed and still run deep. Today, the discourse about Kashmir has become part of the neo-nationalism of our times. We say Kashmir belongs to India and, yet, it is almost as if the rest of India has abandoned the Kashmiri people. There is no attempt to understand their alienation and pain. There is no political outreach. The UPA government paid lip service to an interlocutor's report prepared after the 2010 unrest. It wasn't even discussed in Parliament. A mistake acknowledged by former home minister P Chidambaram. Today's 'nationalist' narrative has only increased the distance between New Delhi and Kashmir. 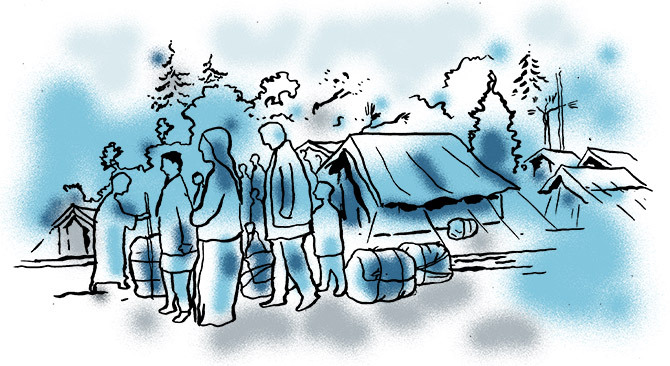 Many Kashmiri Pandits, who have now spent over 25 years in exile, want to return home but only if they will be safe. They are not a big vote bank, so no government has really seriously listened to their concerns or acted on them. The tragedy of Kashmir is that the violence has affected all the communities. 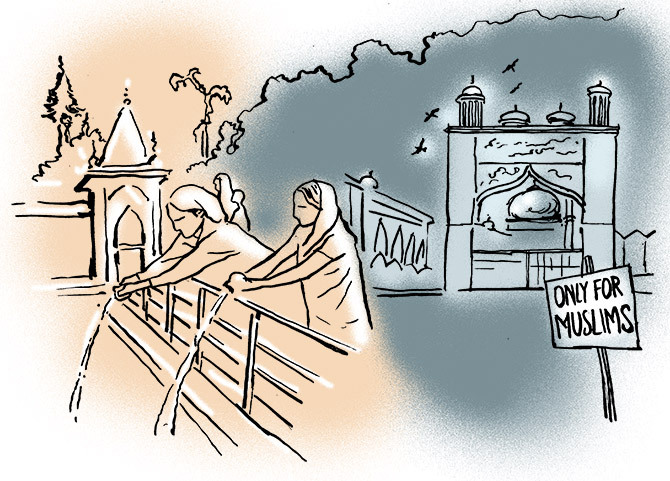 From Pandits to Muslims. Most hardliners on either side sneer at any equivalence. Nevertheless, the fact is that weighing one community's pain over another's has helped no one. During 2016's summer unrest, 12,000 people were injured, as per official figures. Seven thousand of these were pellet gun injuries. Many of them children. The forces have an extremely tough job in the Kashmir Valley, as they deal with Pakistan-backed terror and often hostile crowds who throw stones with a view to kill. But blinding innocents is not how the rest of India will win the hearts of Kashmiris. In the last year alone, official figures show, 88 local boys have joined militant units. In 2015, that number was 66 and just 16 in 2013. Many of them, like Hizbul Mujahideen's Burhan Wani, were educated bright young men, who were doing well in school. Today, India's biggest threat in Jammu and Kashmir comes from within, and Pakistan is taking advantage of that. But there is little or no acknowledgement of the dangers of this homegrown terror. Of course, Pakistan has a big role to play in fomenting trouble, but we need to ask ourselves why ordinary Kashmiris are coming out in large numbers to attend the funerals of terrorists. Kashmir is a very complex story. Nuance is lost on many of those who parachute in to cover the state as journalists, trying to understand it in very narrow and simplistic terms. The same large crowds have come out for the funerals of local policemen and army men. In 2007, when I was filming my documentary in Srinagar, there were massive protests. But they were not for 'azaadi' or freedom. They were for jobs. The UPA government just didn't seize the moment. This was a great opportunity for the Centre to take some real political initiatives in Kashmir. But jobs are only part of the problem. There is a deep political issue that needs engagement but, in these nationalist times, it is not fashionable or politically correct to talk about alienation. Tourism is measured as an index of normality. 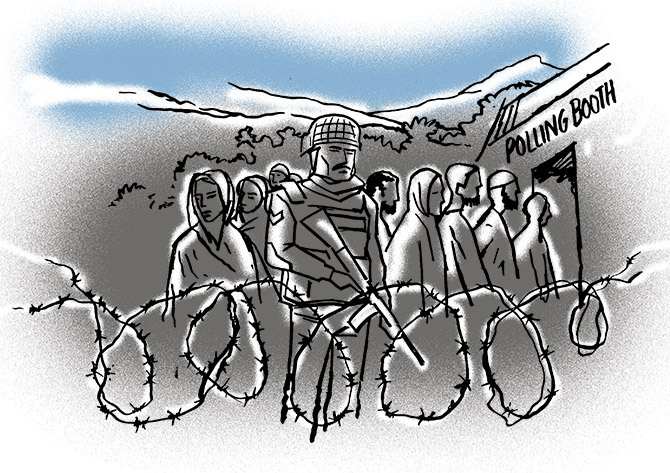 Over 65 per cent of Kashmiris braced boycotts and threats to vote in the last assembly election in 2014. It was the highest voter turnout in 25 years, according to the Election Commission. They did the same in 2008, with a turnout of 61.42 per cent. This doesn't mean Kashmiris have necessarily found common ground with New Delhi. But it means they are willing to have a say in their future and who governs them. We need to build on that, on their trust in the political process. The chest-thumping narrative on Kashmir is part of the larger nationalist narrative we are increasingly seeing in India. Today, you have to wear your patriotism on your sleeve. You have to wear it on social media, in television debates, even in the cinema. To question the government, the courts, the army is to be anti-national. To differ, is to be unpatriotic. It's my patriotism versus yours. Excerpted from Left, Right And Centre: The Idea Of India by Nidhi Razdan, with the kind permission of the publishers, Penguin India.